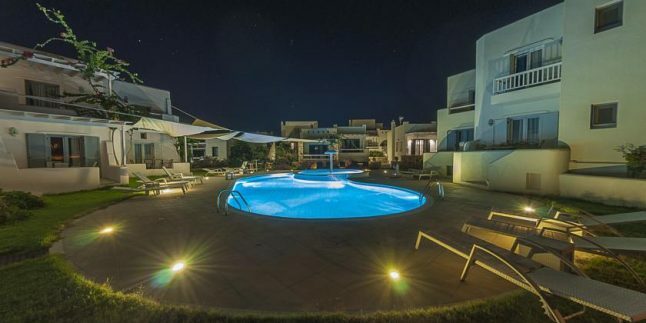 Just 500 metres from Agios Prokopios Beach in Naxos, Iliada Villas offers a swimming pool and sun terrace with sun loungers and umbrellas. It offers spacious, self-catered villas with free Wi-Fi and a balcony overlooking the Aegean Sea. A kitchen with cooking facilities, fridge and dining area is included in all the air-conditioned villas at the Iliada. Each has a seating area with LCD satellite TV. Guests will find a mini market and restaurant within a 3-minute walk. Staff at the tour desk can arrange car rental to explore Naxos Town at 2.5 km and the beach of Agia Anna 1.5 km away. Free private parking is available on site.